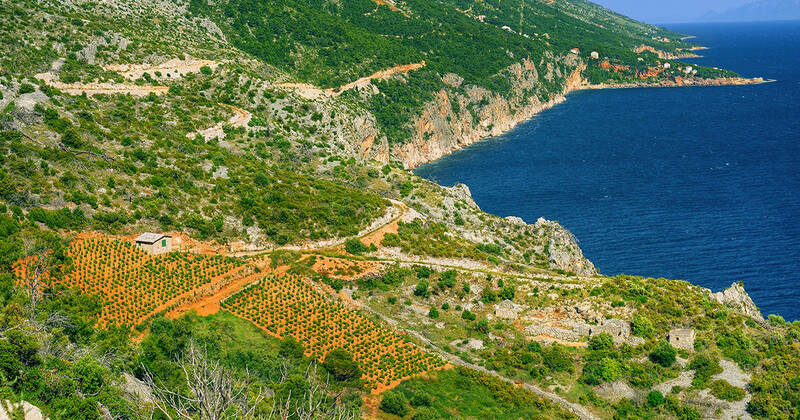 Dalmatian coastline stretches along a big portion of the Adriatic coastline of Croatia. Right here you will find the most unique destinations that attract many visitors each year. With gulet cruise, you’ll be able to discover all the most beautiful towns, islands, and bays in organized itinarery. 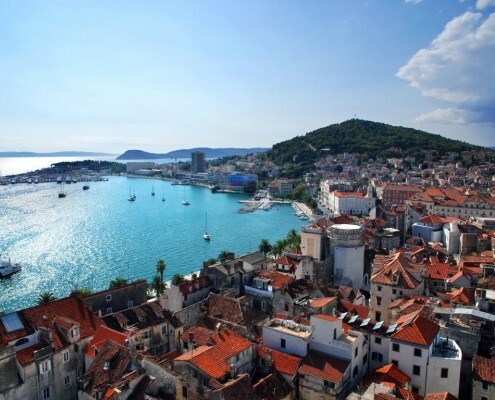 After seeing those places, experiencing the culture you will be addicted to Croatian lifestyle. Read further and meet all the best places to see, things to do, and find the best options for you and your group. Dubrovnik is a true coastal paradise! You can explore the Old town, ancient walls, sit in some of the best restaurants and try Mediterranean delicates. This is also one of the world’s most beautiful holiday destinations you’ll fall in love with. 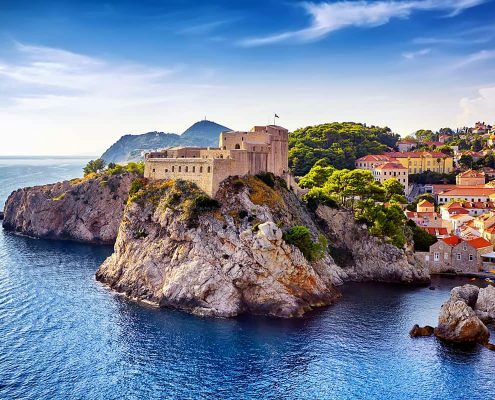 Town has a rich cultural and historical heritage protected by UNESCO World Heritage List and The Old Town of Dubrovnik is surrounded by 2km monumental city walls. For the best view, we recommend going on a walk around the city walls or go on a cable car and ride to the mountain to witness the most beautiful sunset. 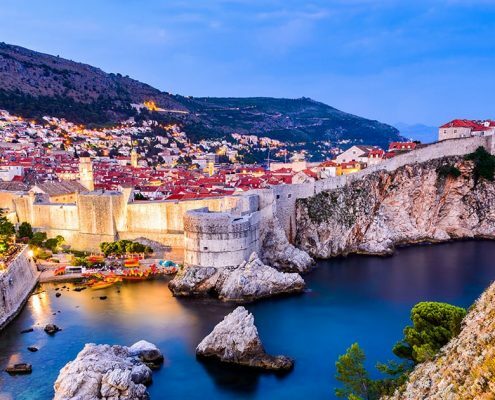 Dubrovnik is also a popular destination for Game of Thrones fans because many parts of the town were used as film sets. You can visit reenact scenes from episodes of the series. Furthermore, the town has many sunny hours and superb surroundings, nature, and beaches. It’s a place you don’t want to miss. For those who want to experience pristine nature, beautiful blue sea then you should add Vis to your list. Beautiful nature is preserved by island being furthest Croatian island in the Adriatic. There you will come across some of the best beaches, delicious food, and local wines. But by far the most beautiful thing to explore is Blue Cave and Green Cave. Those caves make Vis so popular. Blue cave was formed by the wave action of the sea, as seawater eroded the limestone rock. The cave itself is 24 meters long, 15 meters high and right there you’ll witness the spectacle of blue hues that reflect everywhere. 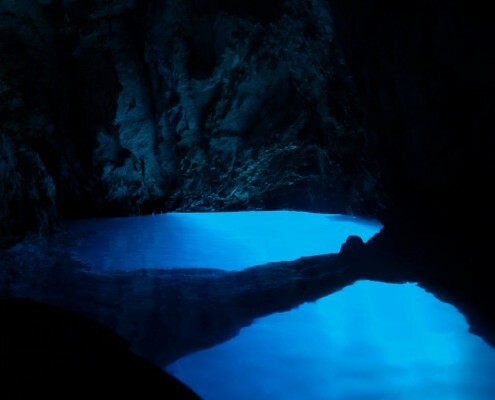 Green and Blue Cave are natural phenomena in Croatia. The benefit of visiting the Green cave is that you can swim and snorkel, unlike at Blue Cave. These caves are perfectly adapted for kids too! So make sure you bring your kids, pack some snacks and go on this little adventure. 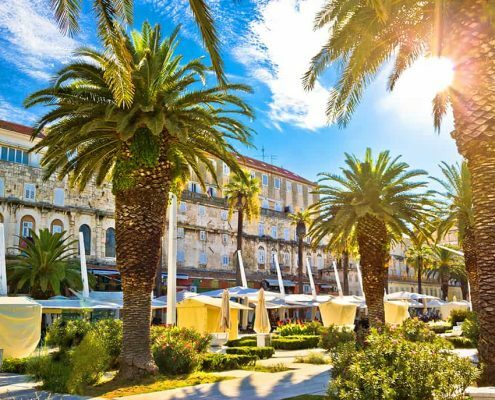 Split is the second largest city in Croatia, and many would agree it is the most beautiful one. It is also an important spot on the map because it has the best connections to the nearby islands. Many gulet cruises star or end right at this amazing town that offers so many possibilities for fun. We recommend you to explore the Old Town and beautiful preserved Diocletian’s Palace that lives today, from which city itself grew and expanded. Stroll down the maze streets that lead to the main square, Peristil. During summer nights you can enjoy live music and drinks. The story of this gorgeous city is century’s old, dating back to the times of the Roman Emperor, so many spots are under the protection of UNESCO. If you want to fit with the locals, just take it easy and grab a coffee on Riva. 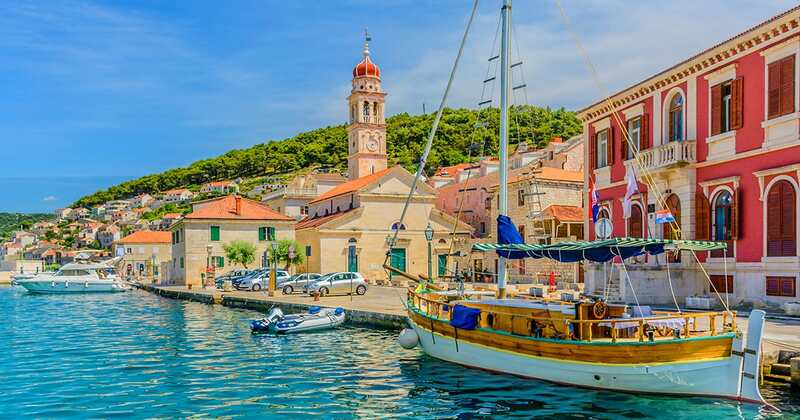 Korčula is the birthplace of Marco Polo and one of those islands grab all your attention and make you fall in love with the place, people and food. The Old Town has a main street that stretches through the whole Town. All other small streets are spread on the sides and when watched from the air they create the shape of a fish bone! Some of the most beautiful beaches can be found here, and the sea is absolutely beautiful colored in many shades of crystal blue. 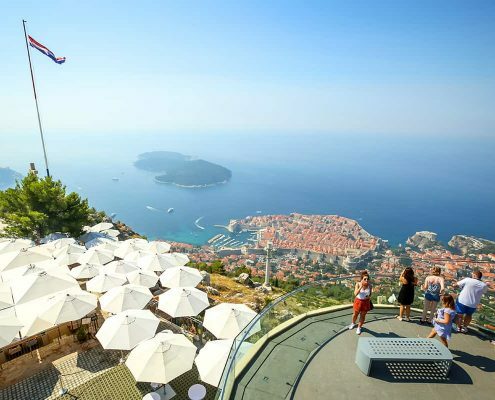 There are also many restaurants and bars with delicious food at the most stunning locations with gorgeous views. For those who want to stay active, you can explore the island by bike. Cycle carefree along beautiful bays. All cycling holidays are guided so don’t worry about getting lost. Cruise can’t be complete without an amazing gulet yacht that will suit you the most. 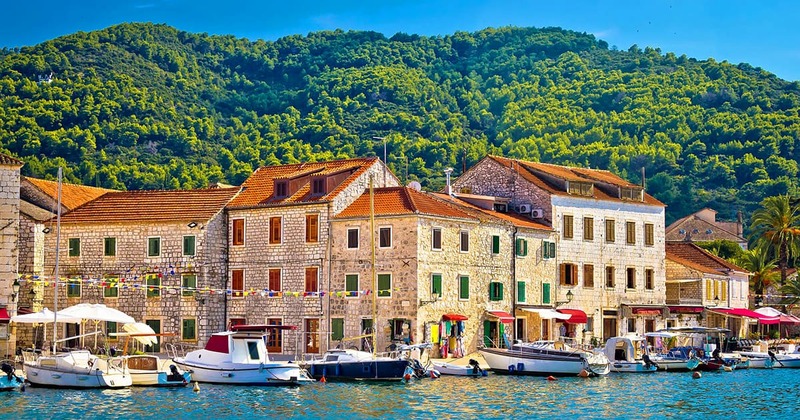 Hvar is maybe one of the most famous islands from our list. 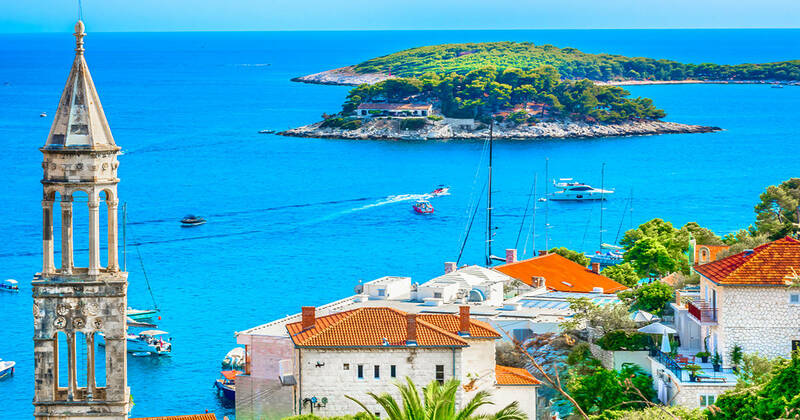 You should visit Hvar if you want to enjoy the endless sun, filled with gorgeous sites and nightlife that can compare to places such as Ibiza. You can become a part of jet-set life and luxurious atmosphere, explore the island and party until the sunrise. However, even if you are not interested in rich nightlife that is happening here, do not worry. 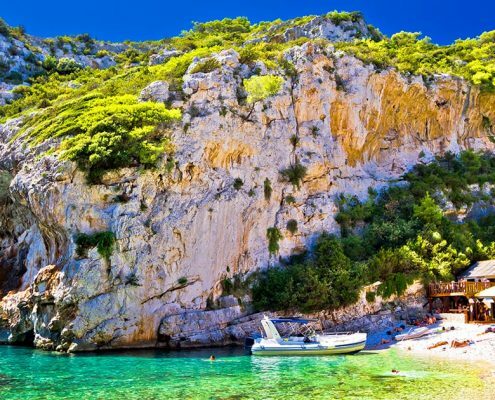 The island of Hvar is also an excellent destination for sun and beach lovers. 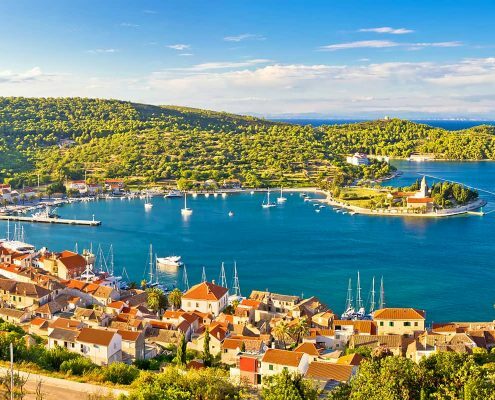 There are also many historical monuments, culture, lavender fields, wine tours, nature, beautiful bars, and restaurants… Since there are so many attractions it is no surprise that Hvar receives a large number of guests each year. Enjoy a cold cocktail on the beach and the warm Mediterranean climate. 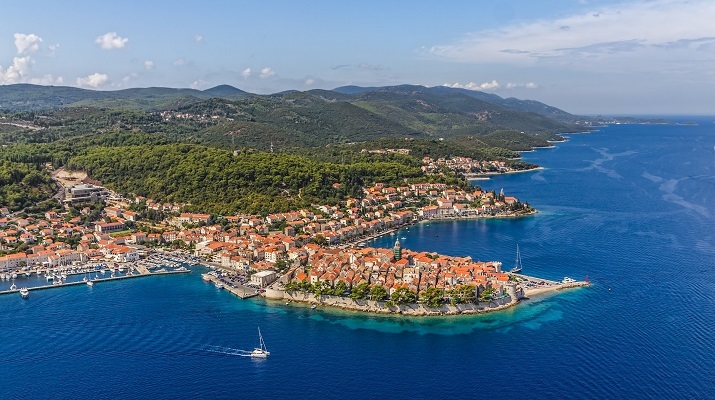 If you are seeking privacy and get away from large crowds then head to island Brač, The biggest island on archipelago hides many attractive sites, bays, and villages. One of the things you must see is Zlatni rat 2km beach (Golden Cape). This is one of the most popular beaches in Croatia! This pebbly beach over the year shifts and moves from one side to the other if there are strong winds. Have you ever been on a beach that changes its shape? Another interesting fact is that it is getting longer over the years. Furthermore, in high season this beach can get a bit crowded, but not overcrowded. We recommend spending at least half of the day here, enjoy the turquoise sea. 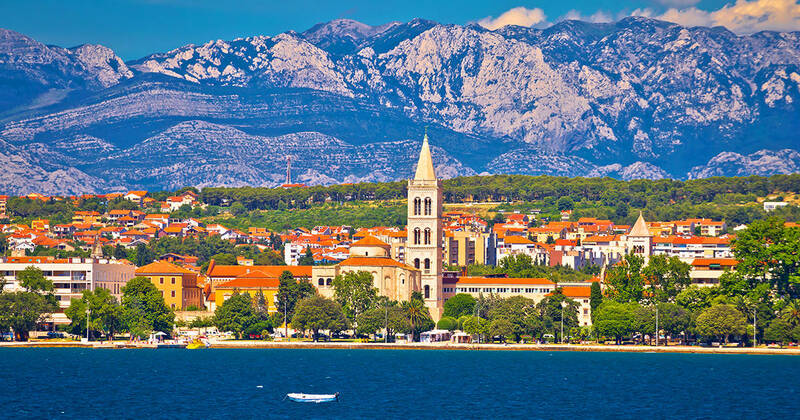 For complete relaxation and experiencing true island lifestyle, head to Supetar. This place remains a nice getaway destination. There are many pebbly and sandy beaches along the whole town peninsula. No matter where you walk you will almost always be surrounded by pine trees and cricket sounds. If you are seeking for larger adventure try hiking or take a ride to Vidova Gora mountain the highest peak of the island. 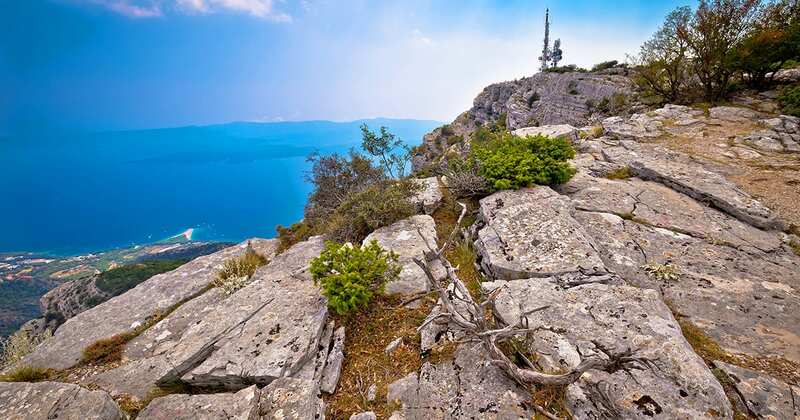 From the mountain, you can see the best view on Zlatni Rat beach. How to make these places become a part of your itinerary? 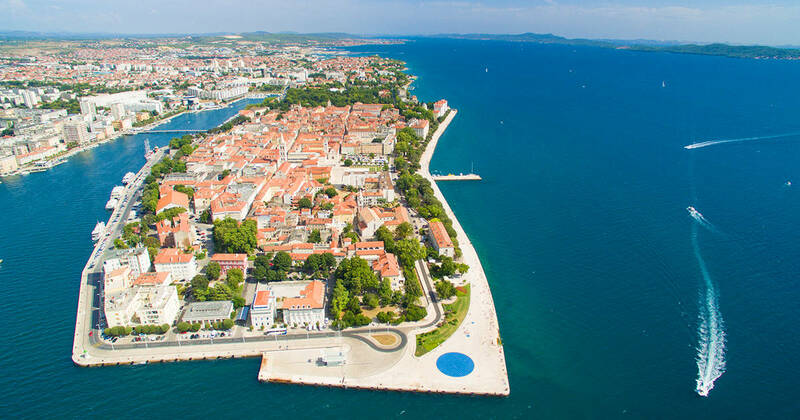 The town called Zadar is one of the most romantic towns in Croatia. This is ideal for you to anchor for a day if you are cruising with your better half. Here you can experience the magical installations like hypnotizing Sea Organ. Quite unusual audio pipe installation is placed bellow marble steps that descend into the sea. Combination of waves and wind create beautiful tunes through little pipe openings bellow stairs you can sit on. On your left, you’ll come across the next amazing thing, and that is the Sun Salutation installation. It is a LED & solar panels floor installations that come alive during the night. The best sunsets happen right here, were golden tones mix with colorful floor panel. Furthermore, you can explore historic old town Roman ruins, medieval churches, museums, restaurants, and bars. Zadar is never too crowded as the Dubrovnik but yet again it has a good atmosphere and lively streets. Once you see and hear the beauty of the town, you will want to come back again for sure! Which of these destinations would you choose for your next gulet cruise? 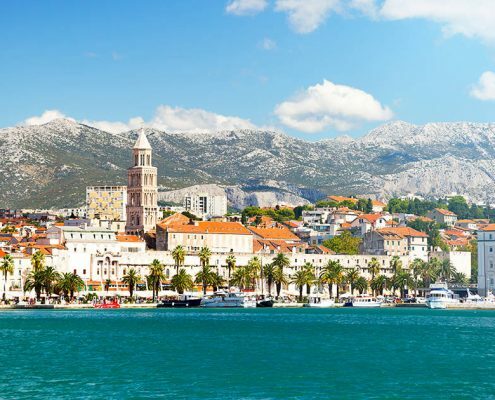 These were the most unique destinations that attract many visitors each year, but Croatia has also many more hidden gems on the map worth of seeing, along with numerous things to do. If gulet cruise in Croatia got you interested send us an inquiry by following the step below, and let’s start planning early. Take 3 minutes of your time and fill out the inquiry form below.